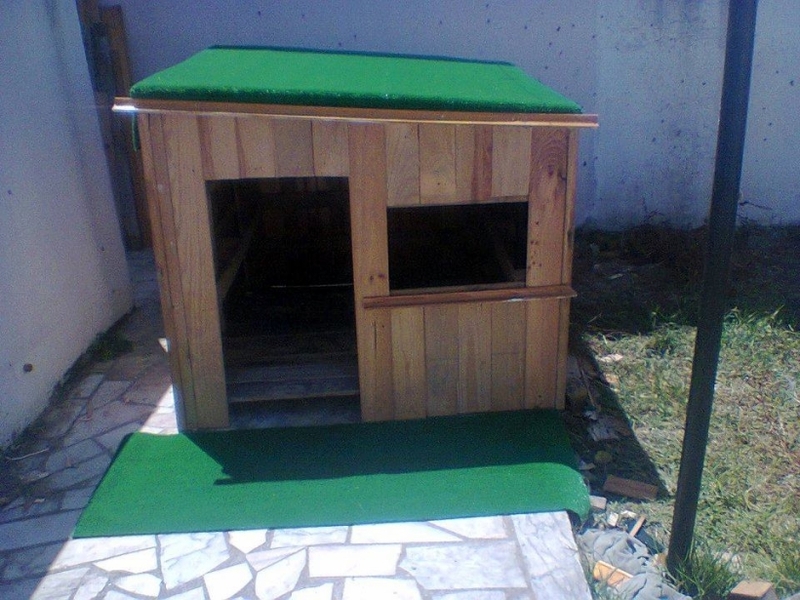 Isn’t it a fun project of creating a diy kids playhouse out of pallets that even costs so less? If you have plenty of time and naughty kids to deal with lets make them busy in constructing something so interesting. 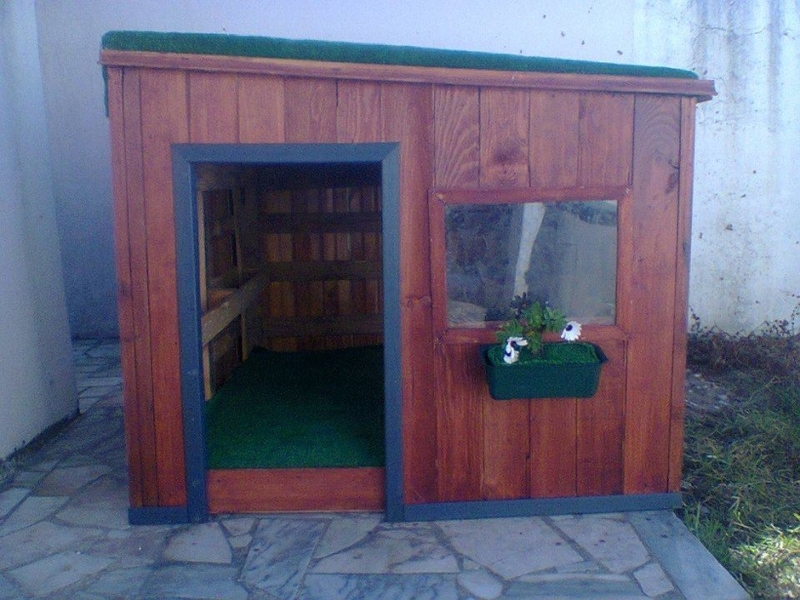 This kids playhouse can be built from good quality pallets easily available out there. Before starting this pallet project think about the ideas and steps involved and gather all the tools and equipment with you. Better understand the budgetary and space requirements before starting it. 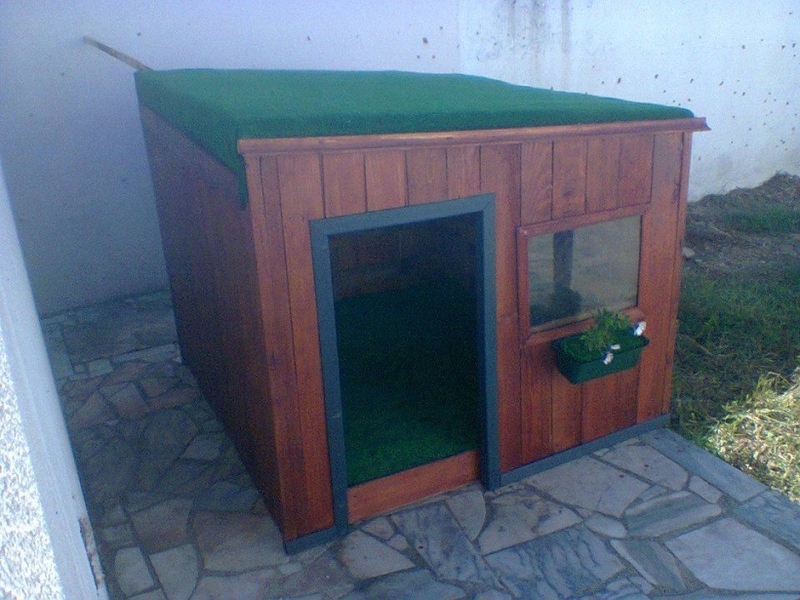 If you got a stone floor on side of garden it is perfect for the playhouse. 1. 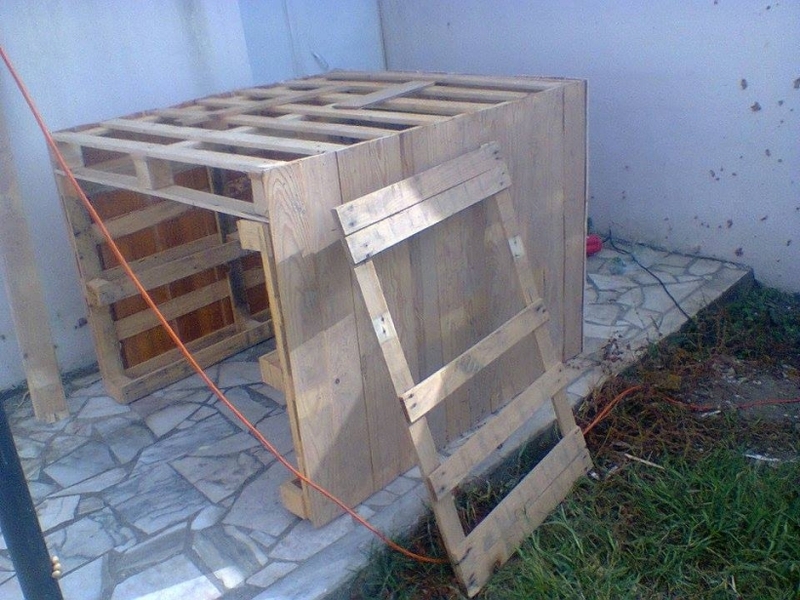 The pallets must be disinfected and treated with chemicals s kids will be touching and playing in this playhouse. Measure the exact width and length you want to make and cut pallets accordingly. The spiral nails and screws must be removed with avoiding the damage to the wood. 2. 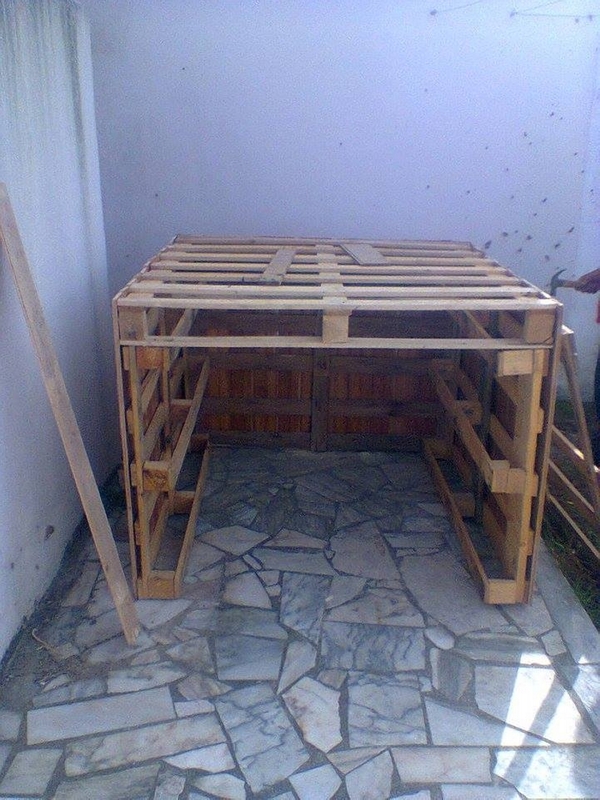 The pallets of different sizes must be joined together to make a frame of playhouse. One wall is left open while all other sides are closed while floor is left open so that you can sit and play with your kids.The panels are kept i place by using deck screws for firm support and structure. The open floor also allows cleaning the house easily. 3. 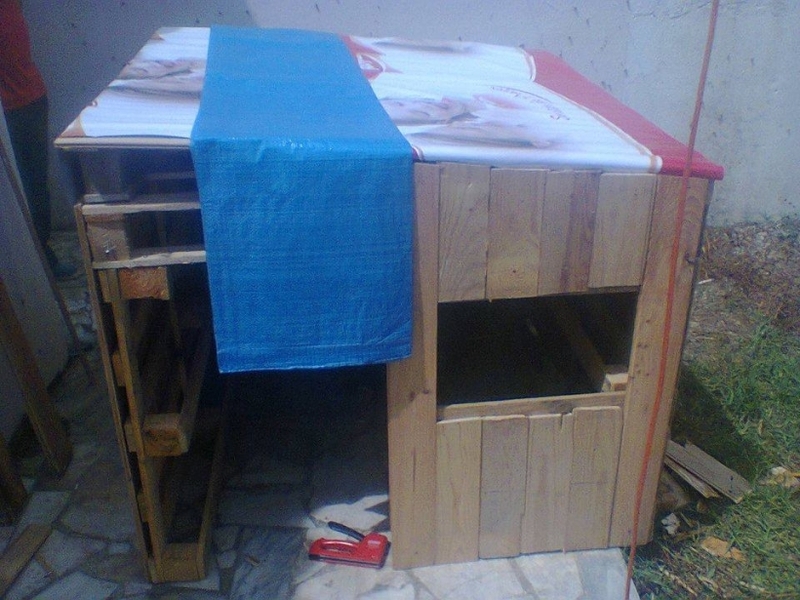 After laying down the foundation of pallet made playhouse next step is to cover the upper side with plastic sheet. It will prevent the house from rain and snowfall. 4. 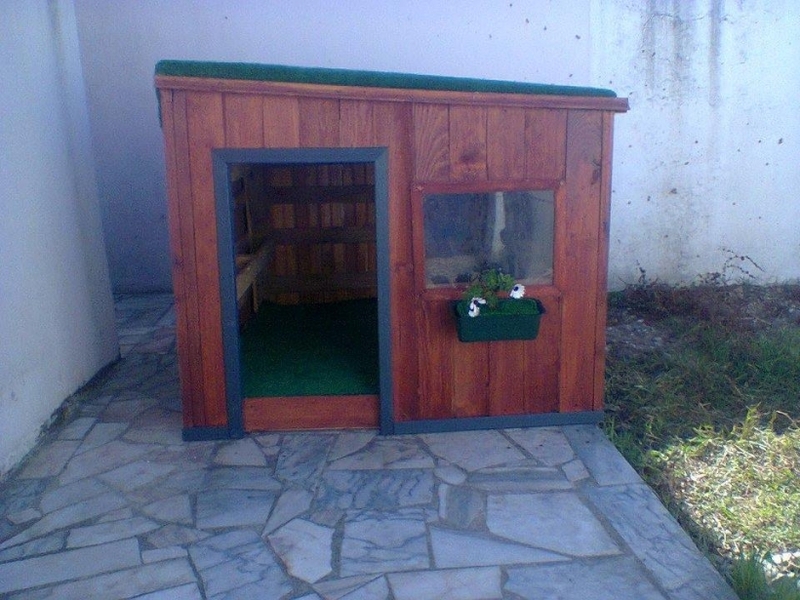 The front of roof is kept a little angled for giving this kids playhouse some versatility. The required panel has been used for adding detail to the house. The house is given an entrance door and window for added beauty. 5. The plastic sheet is covered with green fabric sheet for creating a matching effect with green garden. The wooden pallets are painted brown color and window is provided with a glass pane for more details. 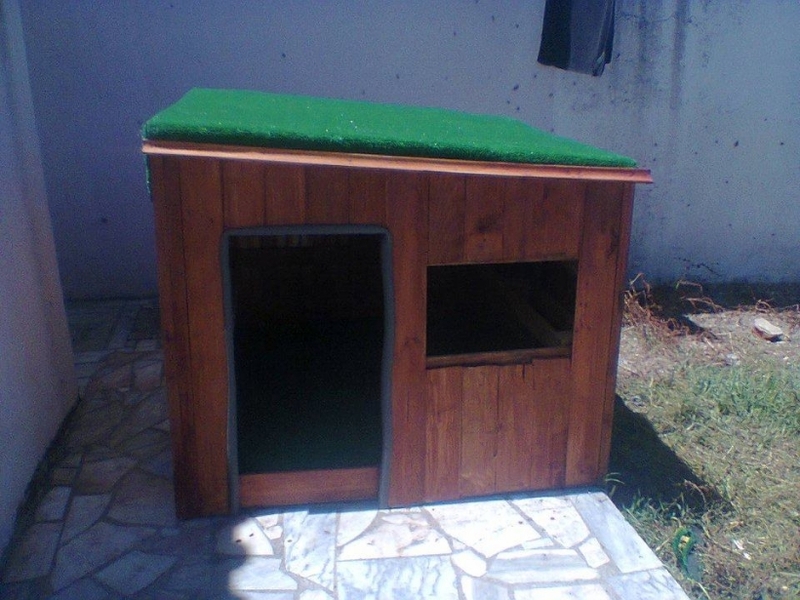 The diy pallet playhouse for kids is amazing project t do and you must consider it once before going for market available houses.